The Realtor (NAR) data is monthly and released with a lag (the most recent data released was for May and indicated inventory was up 6.0% year-over-year). 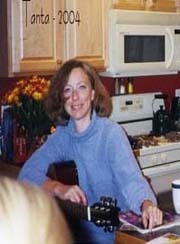 Existing home sales for June will be released tomorrow. Fortunately Ben at Housing Tracker (Department of Numbers) has provided me some weekly inventory data, for 54 metro areas, for the last several years. In 2013 (Blue), inventory increased for most of the year before declining seasonally during the holidays. Inventory in 2014 (Red) is now 15.0% above the same week in 2013. (Note: There are differences in how the data is collected between Housing Tracker and the NAR). 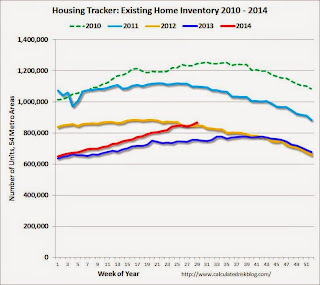 Inventory is also about 2.7% above the same week in 2012. According to several of the house price indexes, house prices bottomed in early 2012, and low inventories were a key reason for the subsequent price increases. Now that inventory is back above 2012 levels, I expect house price increases to slow (and possibly decline in some areas). 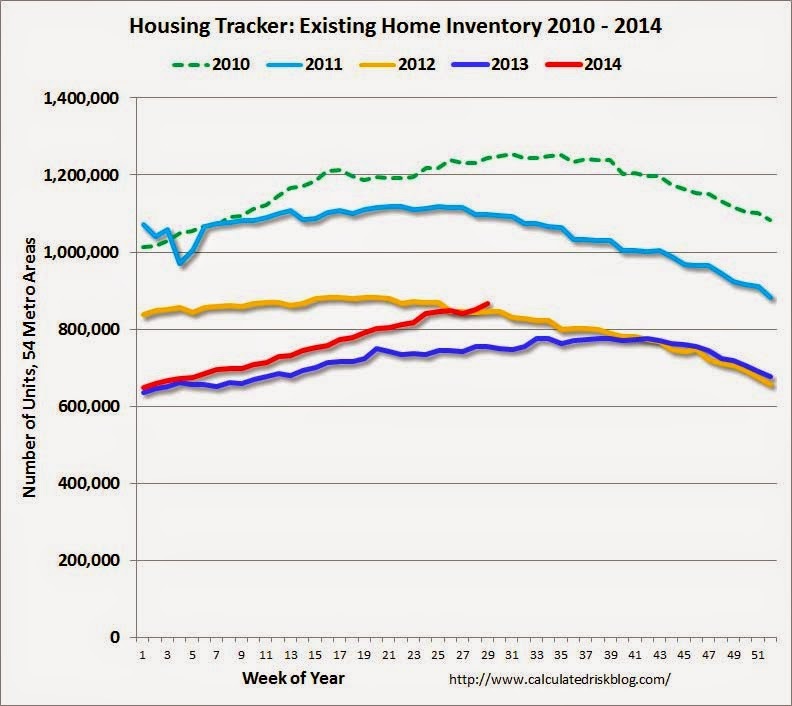 Note: One of the key questions for 2014 will be: How much will inventory increase? My guess was inventory would be up 10% to 15% year-over-year at the end of 2014 based on the NAR report. Right now it looks like inventory might increase more than I expected.